Workshop summer breakout. The true story. We're back from our Mechation in the US of A. 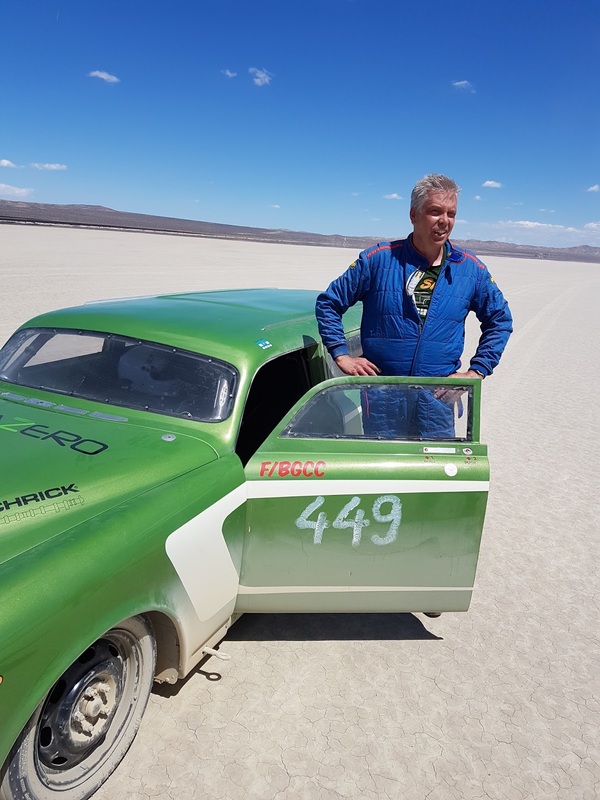 We're filled with new confidence after testing our Amazon at El Mirage and we're ready for Bonneville Speed Week in August! When returned to Sweden we got a shock. It was summer at home as well. At first we felt paralyzed. How should we handle this situation? Should we really leave the garage? Just like that....just like your mother told you when you were young ? As the sun starts to shine, car guys and girls take out their summer ride (-s). It's in their genes. It just happens. Then we slowly moved out from the workshop. Fika outside. We survived, hence we're not Trolls. But it seems like Ragnar and Kalle are not ready to handle the sun yet. Tailgating feel normally though. Then mister sunshine himself, Erling showed up. Happy, relaxed and ready for burnouts in the sun. So we took our cheap sunglasses and hit the sweet surroundings. Pick-up trucks felt appropriate. Yes, we have one each. Pictured: Kalle's 454 C10, Annika's C10 Glamour and Carina's C20 Longbed. Yes, Magnus joined with his low Chevy AD Truck. We finally reached the sea. Yes, there's a sea outside Gothenburg. We're now far from our workshop. ...and finally, we've adopted to the summer. Here's Magnus, our good looking Champagne Cowboy and he seems to thrive. Dry Desert, Blue Skies and Green Cars. If you seek contemplation you do not have too many options. If you want to be alone with yourself there's always a sacrifice. Hideaways are either too warm, too cold or too wet. Speed and Freedom can be found in these places too. In deserts, on ice or at sea. Off the beaten tracks under the great wide open where life's hard. So we took off from Erik Hansson's place with our adjusted race car and our new love. A 454 Suburban. We checked in at the El Mirage exited as can be. And yes, you're right, the colors doesn't match perfectly. No crowd. No race. We're alone with our test scheme and dreams under the blue skies. Driver seat adjusted means that Magnus were able to drive. He's prepared as can be. Magnus, where the sun shines and only the God of Speed is watching. Magnus, Anders and I all test drove the Amazon. Conclusion: With corner weight adjusted and boost control corrected, we were all convinced. This car is building confidence. It will be fast, really fast. Eventually. Magic green on a surface of desert. A fata morgana or an el mirage? Relaxed as can be. Coronas and Barbecue at Erik & Ruth's place after Amazon desert test. A good place to be. Morning after. We cleaned the Amazon and started to prepared our Big Green Burb for next long haul. For Bonneville. But we got sun tan as well. No more D vitamin needed. Summary: We're happy as can be. We're according to plan. So far. We're working hard, to know how, to get fast ! At some point in time reflection is appropriate. Why are we doing what? How was Salt Slush Racing formed? Here's the answer. Since 2015, we're tooling our way to Speed Week at Bonneville Salt Flats with our 449 Volvo Amazon. We've built the race car from 2015 to 2017 and we've made our first Rookie Race at El Mirage in September 2017. Now we're back at Erik Hansson's place in California preparing for the next step and that next step is Bonneville Speed Week. Here's what's happened last week. To get the right feeling, appropriate rental cars are needed. Anders and his heavy burden. Heavy as lead. Home at Erik's and Ruth's place adopting to cool stuff and sun. The work begins. Magnus is working with solving the SCTA safety remarks, step by step. Carina put some paint on a lead box bracket that Erik has made for us. Where there's speed and race cars, there's haulers and trailer. Here's Cina and PA waiting for our Big Block Suburban to be to get a new fuel pump. Fuel pressure and a humming 454. The deal is sealed. ...is ready to serve. New tires, new oil, plugs, air filter. Tomorrow it's time for a tuning session on El Mirage. Yes, we're on plan and exited.